One of the more common leg injuries is a full thickness tear of the ACL. Depending on the patient's age and activity level, a reconstruction of the ligament is performed. This surgery is quite extensive, and the rehabilitation process can be lengthy. It is important to work closely with your surgeon and physical therapist to follow guidelines for the best possible outcome. If your injury was the result of an accident, you may wish to contact Joseph LoRusso for a legal consultation. The ACL is a large ligament that connects the femur to the tibia. It is commonly torn during sports such as skiing and basketball. While there are many different mechanisms of injury, one of the most common involves a twist with a planted foot. Women athletes are particularly prone to this injury. Some research suggests that women tend to use the muscles around the knee rather than the muscles around the hip to decelerate landing from a jump. While most of the time this is not a problem, during unintended movements such as landing on an unstable surface or being bumped by another player, the muscles around the knee are not able to adequately stabilize the knee, and thus a tear to the ACL occurs. Most of the time, young, healthy, active patients have a surgery that involves replacement of the ACL with one of three types of grafts. A hamstring graft is made of the semitendinosus and gracilis tendons. They are typically harvested from the same leg, but occasionally harvested from the opposite leg. 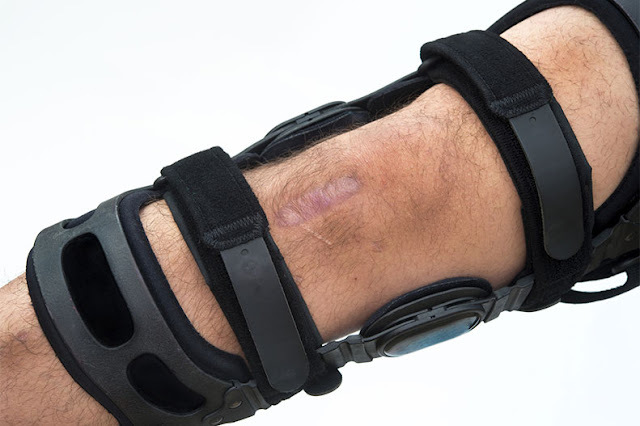 The patellar tendon graft is made from the middle third of the patellar tendon. A cadaver graft is taken from a fresh cadaver. These different types of grafts have their strengths and weakness, and it is an important decision to make with your physician. Post-operative ACL reconstruction is dictated by your physician, based on what he or she found while performing the surgery. It typically begins with a short period of non-weight bearing and immobilization, with gentle range of motion beginning as soon as your surgeon's protocol allows. Partial weight bearing begins after the first week, and progresses to full weight bearing as tolerated and per your surgeon's protocol. In terms of ACL recovery secrets, the single most important factor for a quick recovery - a factor that improves the recovery time by a factor of 2 or greater - is the type of graft chosen. Of course, you should consult with your surgeon on what is best for you and, if you're a professional athlete, my recommendation is not likely to be the best choice. At this stage, your physical therapist will be performing range of motion to the knee, with an emphasis on getting the knee straight. As weight bearing and loading tolerance increase, exercise intensity will increase. Your physical therapist, in conjunction with the surgeon's protocol, will work on strength, balance, coordination, and functional activities. Most of the time, physical therapy will last from two to three months, depending on the rate of recovery, strength gains, and functional tolerance. After three months, exercise transitions to more sport/activity specific training, with return to sport by about six months depending on surgical protocol. Most contact sport athletes will be fitted with a brace for long term use, with the goal of decreasing re-injury rates. Failure to adhere to any part of post-surgical ACL reconstruction protocol can result in significant long term dysfunction. Performing your home exercise program, as prescribed by your physical therapist, makes all the difference in the world.